Wooooohooo! I can’t tell you how happy I am to have the food photography workshop website and registration completed (thanks for your help, Andrew)! I am so jazzed and humbled to be working with three dear friends whose photography and cooking/baking have inspired me from day one: Helen Dujardin of Tartelette and Todd and Diane of White on Rice Couple. For those of you interested in attending, hop on over to the Food and Light website to register. Space is limited to 30 and I have no idea how quickly (or slowly) it will fill up. If you have any questions, do ask me soon as I will be mostly out of communication April 12-14. As promised, I have this absolutely delightful lemon drop martini to share with you. When I first uncorked a bottle of my Buddha’s hand citron vodka, I stood sniffing the magical perfume that emanated from the opening. I had no idea what I was going to do with it. I like to play with the booze. Jeremy is the one who drinks it. He hovered around me asking what we could possibly make with it. If you have large martini glasses like we do, you will probably want to double the recipe or else the person you serve the drink to will think you slurped half of it up before giving it to them (not an unreasonable assumption). The combination of floral and citrus aromas from the Buddha’s hand, Meyer lemon, and grapefruit will lull you into a daydream of lazy summer gardens in full bloom with fat, happy bumble bees buzzing about. This is a total keeper of a recipe. Simple syrup: To make simple syrup combine 1 cup of water and 1 cup of sugar in a small saucepan. Stir over high heat until the sugar has dissolved. Bring to a boil and let boil for a minute. Turn off the heat. Let cool completely. Pour into a glass jar and store covered in the refrigerator. Place the sugar in a bowl slightly larger than the mouth of the martini glass. 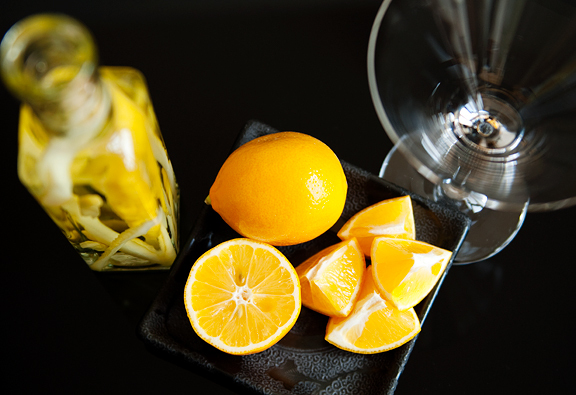 Take the wedge of Meyer lemon and rub it along the inside rim of the glass. (The reason I run it on the inside is because I don’t want sugar dropping all over my house. 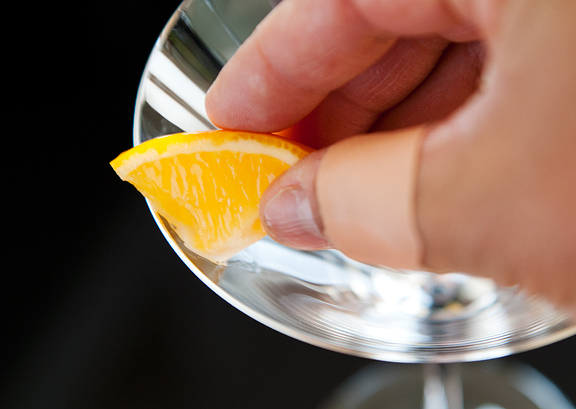 If you like the effect of having it on both sides, then go ahead and run the wedge along the rim of the glass.) Turn the glass over and dip the rim in the sugar bowl. Shake off access and set aside. Fill a cocktail shaker with ice. 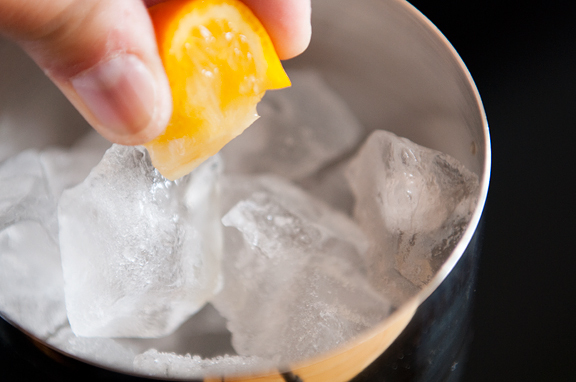 Squeeze the wedge of Meyer lemon over the ice. Add the citron vodka and the simple syrup. Cap the shaker and shake (the longer you shake, the more dilute). Strain into martini glass. Makes a small martini. If you have large martini glasses, you may want to double the recipe. I don’t drink alcohol, but this is a lovely drink. Congrats on finishing up the site! I’m sure the workshop will be fantastic and informative. Ditto to above! 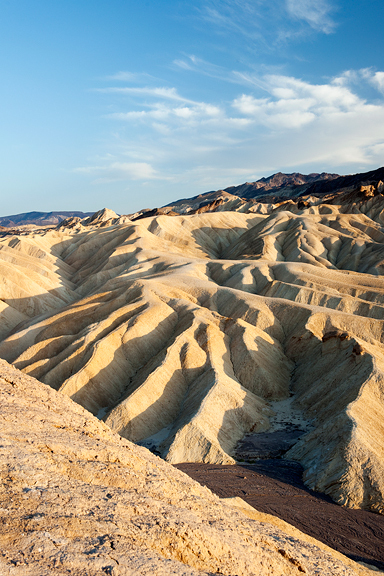 The Badlands are gorgeous, aren’t they? Beautiful pictures! If only we lived closer…we would so be at your workshop!! You’re shots are amazing an make our pale in comparison!! Please say you’ll post some tips here! It never occurred to me that wiping only the inside would keep sugar off the floor. Does that reveal that I’m a slob? I guess so. Count me in for the class! I can’t wait to get back to Colorado in the summer. (Though with the late spring snow dumps you are getting, I wish I was back already!) 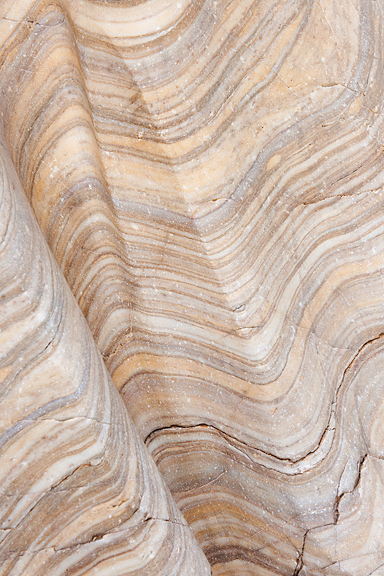 Love your photo of the slot canyon- gorgeous textures. YUM! Looks wonderful. 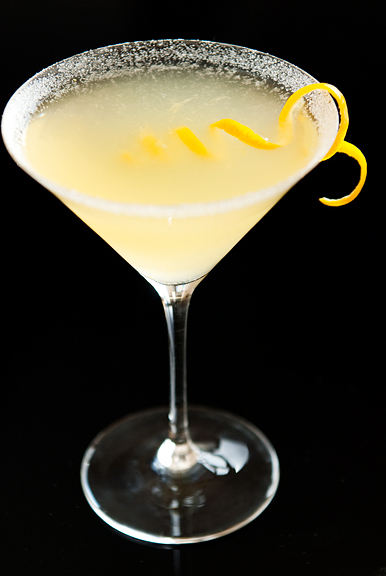 I love, love, love lemon drops martinis! Your photography and blog never cease to inspire me. I wish I could join you for your workshop. i am going to make this the minute i am not pregnant anymore! i also think it would be delightful with a mint simple syrup, too. 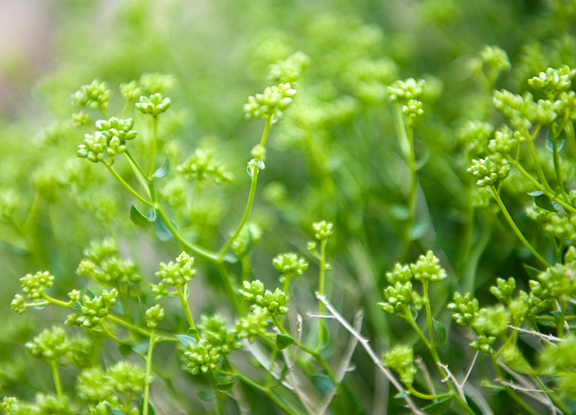 maybe even other herbs… rosemary, perhaps? oooh these photos are gorgeous!! …mmm… lemons in the summer… perfect! that looks SO delicious – i’d love to have one now here at my desk! Oh dear, I need to make one of those tonight and maybe tomorrow night, but most certainly on Saturday night! Beautiful photographs! I want to come over to your house for happy hour! What a lovely sounding cocktail, I may just have one tonight to celebrate finishing our taxes! I hope it goes so well that you decide to do it again. So sad that Boulder isn’t closer to Durham, NC. The workshop sounds amazing. I hope it goes fabulously! Ha, last week I wanted a fun cocktail and I was out of limes for my normal vodka gimlet. I was like, hm, I wonder if I can make a cocktail with vodka, simple syrup, and lemons instead of limes. Then I realized that was just a lemon drop and I felt silly. And I was too busy prepping for a big dinner to squeeze lemons anyway, so I ended up drinking a beer. Of course now I only want the super fancy lemon drop martini anyway. The Lemon Drop Martini looks soooo good! I want one now. 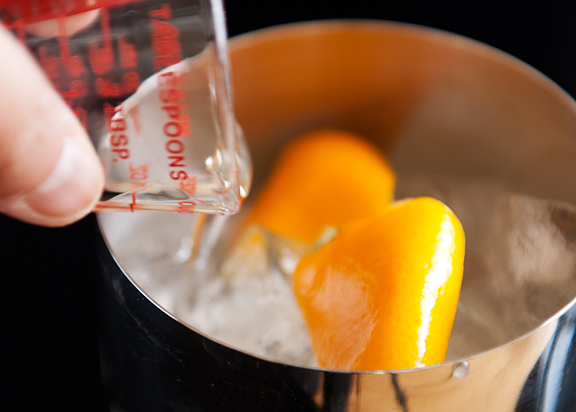 Love the idea of the grapefruit syrup from your candied grapefruit experiment. Cheers! 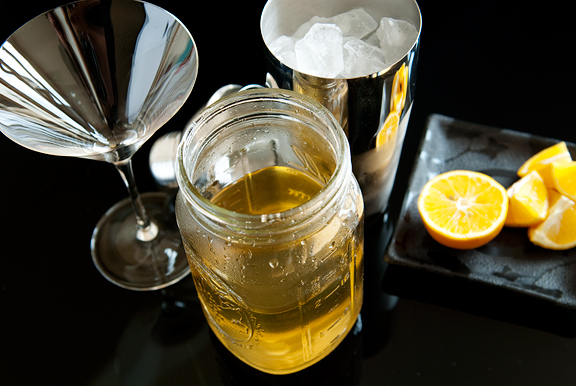 This looks absolute-ly (pun intended as it’s my only citron vodka option — currently — but I have plans) delicious! I have some grapefruit that need a job so this will be their destiny. Thanks for the wonderful idea! Thanks for making me crave booze at 8 in the morning! Looks sooooo refreshing! Oh this looks fantastic. I must make them for my next summer party. Your pictures are so drop dead gorgeous! 3 hours til happy hour! And I want one of thooooose! I’ve never had a martini (being more of a beer girl). This may be my first. What a beautiful drink. I don’t drink a lot of sweet martinis, preferring the simple gin classic or a sake-tini, but this has me planning an infusion experiment of my own! Jen! You are so good at changing the recipes and making them rock even more! LoveFeast Table – that’s a bummer. I wish you guys could attend. We won’t be giving tips per se in the workshop. 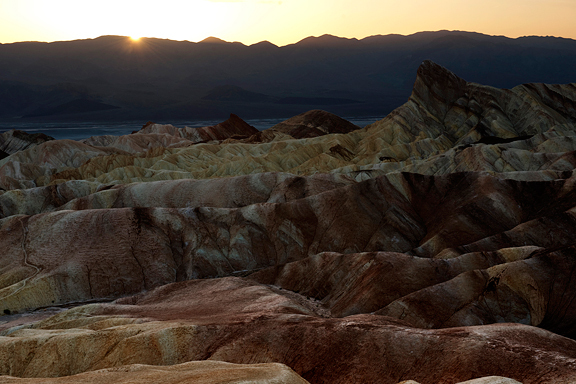 It’s mostly fundamentals and instruction on how to think and evolve your photography. Phoo-D – I hope we’ll see you! Jackie – yes, I’ve seen cocktails with lemon and rosemary before – looked awesome. Jenny – we will miss you :( But have fun at the wedding! Caitlin – you can make things like lemon drops without the room spinning. 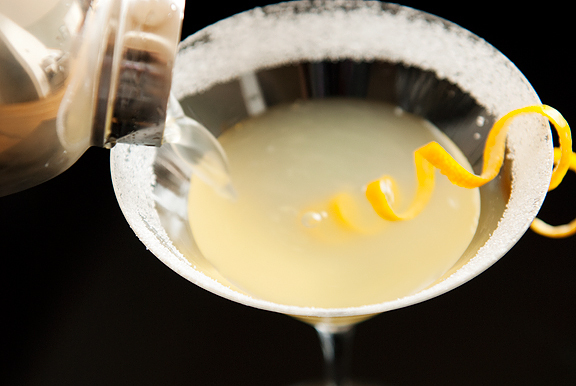 It’s the drinking of the lemon drop martinis that makes the room spin! ha ha.